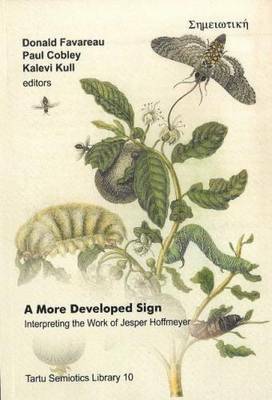 For more than 40 years, Jesper Hoffmeyer has been committed to the idea of developing "a semiotics of nature, or biosemiotics as he chose to call this effort, that could intelligibly explain how all the phenomena of inherent meaning and signification in living nature - from the lowest level of sign processes in unicellular organisms to the cognitive and social behavior of animals - can emerge from a universe that was not so organized and meaningful from the very beginning" (Emmeche etal. 2002: 41). In this volume, over 80 world-class scholars from more than 20 countries select a short quotation taken from any of Jesper Hoffmeyer's texts and provide their scholarly commentary upon that passage - whether in the form of an analytical explication, a critical disagreement or a conceptual extension - that as they feel asks the questions that need to be asked, proposes the ideas that need to be proposed, or that draws out the implications that need to be so explicitly drawn out, germane to the claims of the selected passage. At once a celebration and a serious academic development of the work of Jesper Hoffmeyer, this landmark volume marks the occasion of his 70th birthday on February 21, 2012.